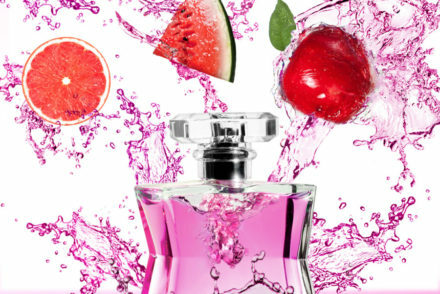 In a world of rapidly changing colour and styling trends, it is crucial that women move away from trying to correct the damage we are all guilty of causing but instead focus on protecting our hair. As award-winning hair colourist Daniel Galvin OBE says, “hair is a woman’s ultimate beauty asset – the only thing that she never takes off”. Those words resonated in my mind as I booked my appointment to visit the the Daniel Galvin flagship salon on George Street in Marylebone to experience L’Oréal Professionnel’s Kérastase Intensive Repair Treatment. 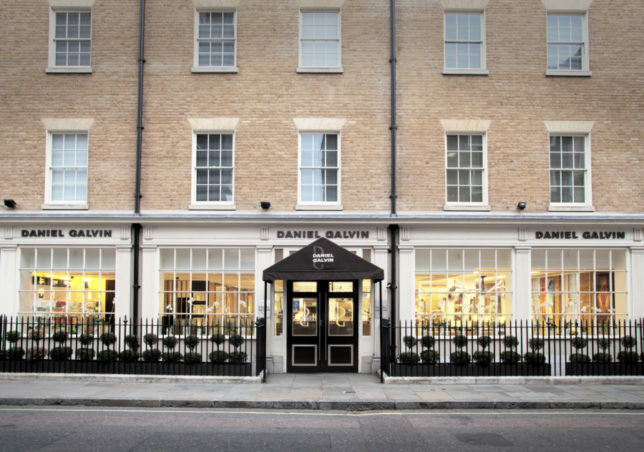 As London’s largest hairdressing salon, Daniel Galvin Marylebone has 9000 square feet devoted to world class colour services and beautiful, bespoke hairdressing. As I stepped through the doors of the double fronted period building I immediately felt as if I was relaxing into a one-to-one luxury hairdressing experience and it got me to thinking of that famous advertising slogan “why have cotton when you can have silk”. Throughout his acclaimed career, Daniel has pioneered modern hairdressing techniques and made a massive impact on the art of colouring hair. Known as one of London’s most acclaimed hairdressers, Daniel (who recently marked his fiftieth year in the industry) has handpicked and trained his team to deliver the very best personalised style and experience. After decades of recognition and awards Daniel achieved the ultimate accolade as the first hair professional to achieve an OBE for his contribution to hair colour and the hairdressing industry. Daniel Galvin Marylebone’s minimalist design delivers a personal zone of comfort around each client and their dedicated stylist or colourist. The salon renowned as the preferred hairdressing destination of some of the most famous names in world but even “civilian” clients like myself get the five star treatment from exceptional stylists who are on hand to transform and enhance every look with their ground breaking skills taught by Daniel himself. 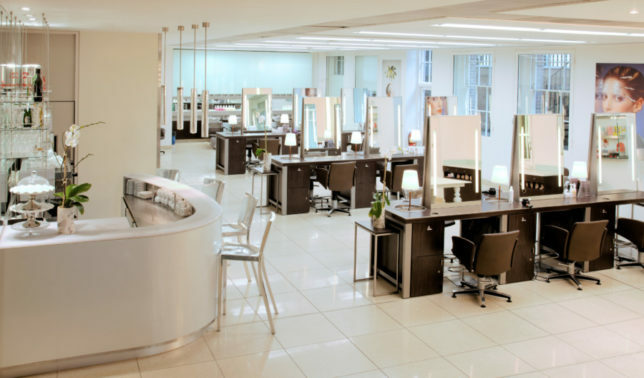 Whether, like me, you are a client here at the Marylebone flagship or one of the loyal clients at Daniel Galvin’s other salons in Kensington, Selfridges or the Corinthia Hotel, one notices almost immediately that every member of the team from the reception desk to James Galvin himself, is respectful, inclusive and inspired to deliver a tailored style to each and every client that supports the natural looking enhancement of beautiful hair. 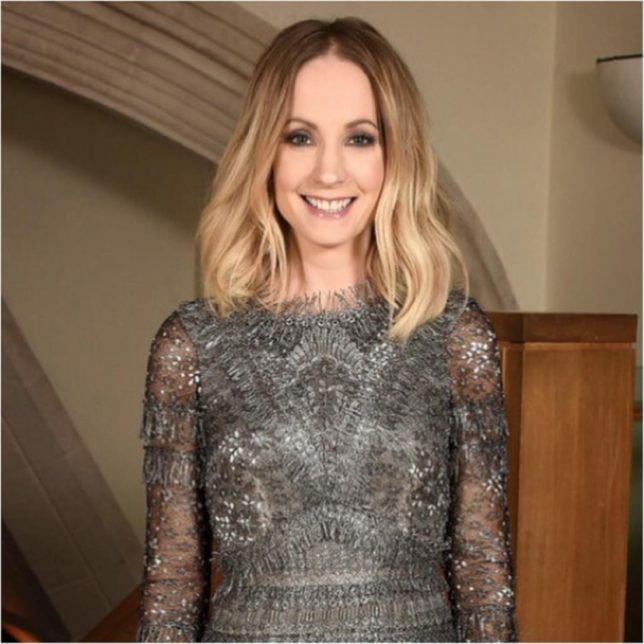 A perfect example of this can be seen in Joanne Froggatt who was styled by Daniel Galvin Selfridges’ Reece Midgley before appearing on the red carpet at the recent BFI London Film Festival Fundraising Gala. The Daniel Galvin stylist works with the colouring, hair texture and complexion that nature has given you and then optimises and enhances your style to consistently create natural looking, beautiful hair on each visit. Although today I was booked in for a conditioning treatment, Daniel Galvin salons offer everything from bespoke haircuts and blowdry services to tailored colour services and extensions to wedding hair and celebration styling, all delivered to one of the best haircare standards in the business. Having been working long days I knew I needed some R and R sometime soon but it wasn’t until I sat down in David’s chair (David Felstead is Style Director at Daniel Galvin) that I realised jet lag and travelling had taken its toll – not on my skin or as you would think under my eyes but on my scalp! I love meeting people who can read you through their passion, it is probably because that is what I do with my clients. I love psychology and I love reading people’s emotions then helping them master them to achieve their dreams. David is actually very similar. He has an amazing ability to not only read your hair but your scalp then put you through the most relaxing Hair Spa treating your scalp and your hair to help you achieve your dreams of healthy, shiny, glowing hair. I enjoy a trip to the hairdressers, but I would swap it any day for a trip to a spa, however David manages to make me reconsider my thoughts. A Hair Spa is truly relaxing and also makes you look better from the moment you walk out of the salon. I went through a three stage process, but I highly recommend the scalp massage which is done with a fantastic little tool that is like a gentle shiatsu massage for your head, letting all your worries and concerns drift away before your treatment is applied. The Kérastase Intensive Repair Treatment (costing a very reasonable £45) restores dry and chemically damaged hair with an intensive conditioning treatment applied at the backwash and left to work before being gently steamed into the hair. But, definitely ask David for his advice on what would suit your hair best. This is not a one size fits all approach. There are plenty of options available for all hair types. 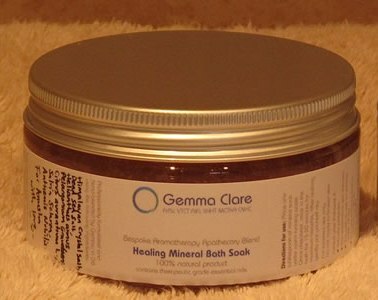 I highly recommend a Hair Spa for not only you hair and scalp but for your mind too!